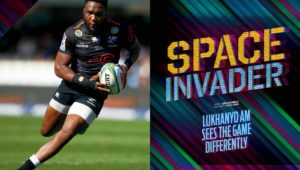 When Wandisile Simelane churned out one dazzling performance after the next for the Junior Springboks at the recent World Rugby U20 Championship, he didn’t just announce himself on the global stage, he also convinced his parents he has a bright future in rugby. 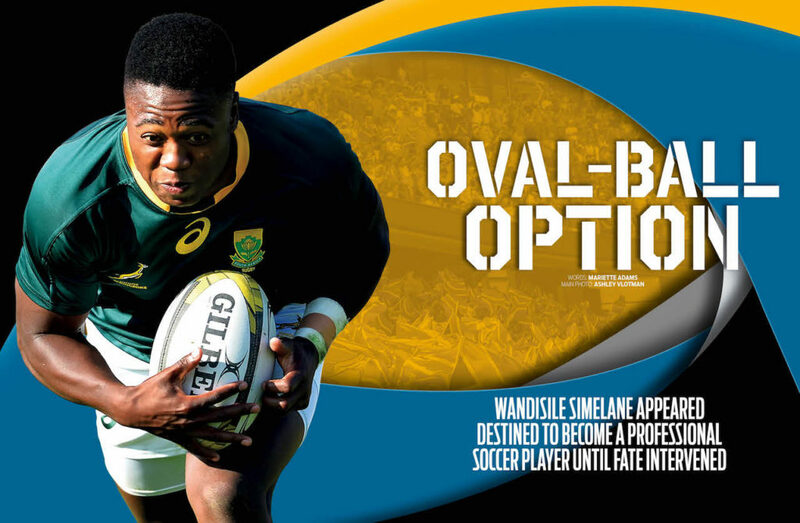 Simelane’s rise to the peak of age-grade rugby has been an unconventional and emotional journey based on loyalty, self-belief and steely determination. He had to fight opposition from his own family, who believed he was destined to become the next Lucas Radebe or Siphiwe Tshabalala. Growing up in a modest house in Power Park, Soweto, with dad Christopher, mom Gloria and brother Sanele, the soccer-loving Simelanes lived less than 10km away from the three major stadiums in the township. Simelane used to kick a ball around on a dusty patch of land from dawn to dusk with the rest of the soccer-mad kids in the area, playfully emulating their heroes. Christopher soon realised his first-born had an outrageous turn of pace with skills unlike any of his peers. Game by game, day by day, hopes in the Simelane household and the Power Park community grew that the boy could become a professional soccer player. 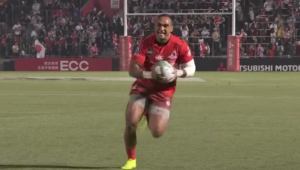 Unbeknown to his family, though, young Simelane had also started playing rugby at Dalmondeor Primary, where Lenus Swanepoel recognised the same star quality his neighbours and father had seen. Only the context and sport were different. That was the start of a tussle between family and school coaches to convince Simelane of where his future lay. ‘Wandi wasn’t on my radar at all, despite Lenus’ constant reminders that we have a potential superstar in our midst,’ says Pieter van Heerden, who later coached Simelane at U12 and U13 levels at Dalmondeor. ‘In all fairness, Lenus got excited by most of the kids he worked with and saw them all as future stars! The remarkable thing about Simelane was that he immediately caught the attention of provincial selectors. He made the Golden Lions U13 Craven Week team in 2011 and while his parents knew about this rugby adventure by then, they did not know of his intention to take it further in the long term. Van Heerden, who had assumed the role of coach, mentor and chauffeur in Simelane’s life, took it upon himself to wisely use his contacts and organise a sports bursary for the youngster to further his schooling at Jeppe High School for Boys in the leafy suburb of Kensington. 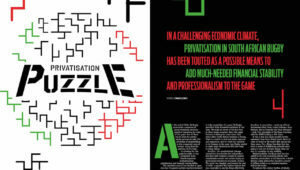 Once the application was approved, Van Heerden braced for a confrontation with Simelane Snr. Knowing the Simelanes would take some convincing, Van Heerden invited them to his office to plead his case. After much debate, it was agreed that Simelane could go to Jeppe to pursue his rugby career on condition he gave soccer another go. Simelane went on to play for Soweto giants Moroka Swallows in the U15 Nike Cup in 2012. A year later he was playing for the Golden Lions U16 team and though he successfully juggled his time between codes, his congested schedule eventually clashed and this time he had to make a decision and stick with it. Fast forward five years and he’s one of the brightest prospects in this country in his age group. The 20-year-old has represented the Lions across all junior levels and made his senior debut for the union in the Provincial Rugby Challenge in June. Before that, he had turned out for SA Schools, Wits University and SA U20. Jeppe director of sport Brendan Gittins is proud of Simelane’s achievements but equally concerned for his future. ‘Everyone who worked with Wandi during his formative years knew he was going places. He has always shown a higher level of tactical and technical maturity than his peers and a greater appreciation of the laws,’ says Gittins. ‘And now that he has the physical stature to complement his ability to break the line and beat people one on one, he’ll become even more destructive. While Simelane says he doesn’t care where he plays, Van Heerden shares Gittins’ views. ‘Wandisile has big-match temperament. He lives for big games and moments and falls a bit off the pace when the pressure isn’t there. The fact he continued to play out of his skin despite being wasted on the wing was Roux’s saving grace. Since the U20 Championship, Simelane has deservedly received rave reviews and been tipped for higher honours. However, he prefers to focus on the present; underlining Gittins and Van Heerden’s sentiments that their former charge is a grounded individual. 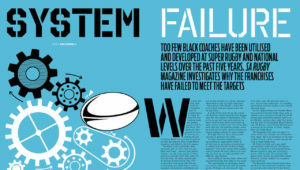 This article first appeared in the August 2018 issue of SA Rugby magazine.